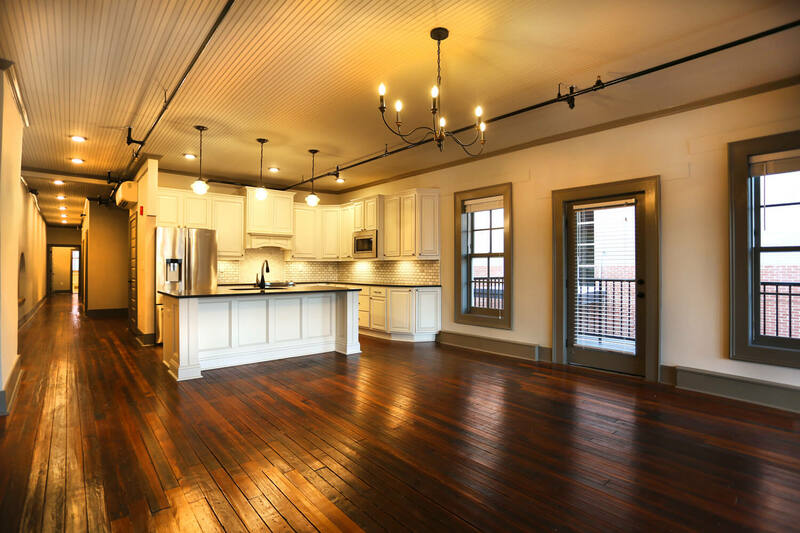 Ruth and Son’s Building is a Historic Renovation of an existing, three story, brick and timber structure. Originally, it was constructed in the 1800’s but was renovated in the 1920’s to serve as a jewelry store. Lastly, its use was a clothing store, after which it became vacant. 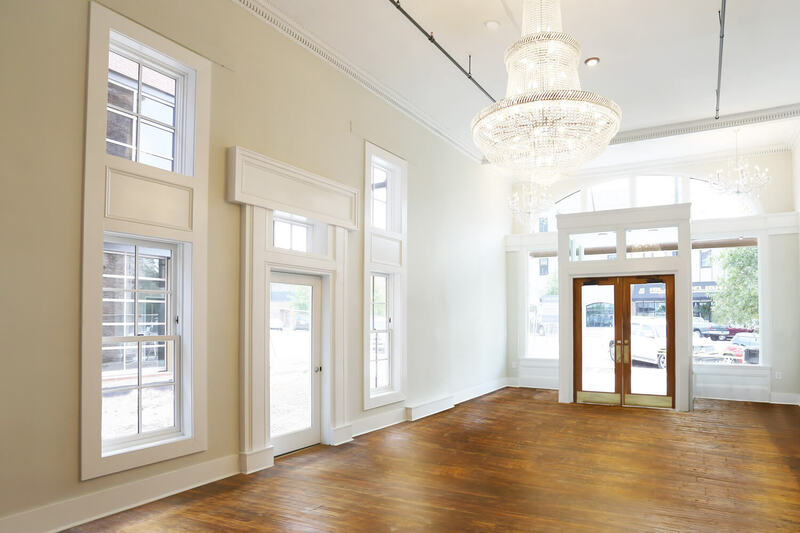 Recently, a private developer purchased the building from the City of Montgomery, as a part of an RFP process used to stimulate growth downtown. 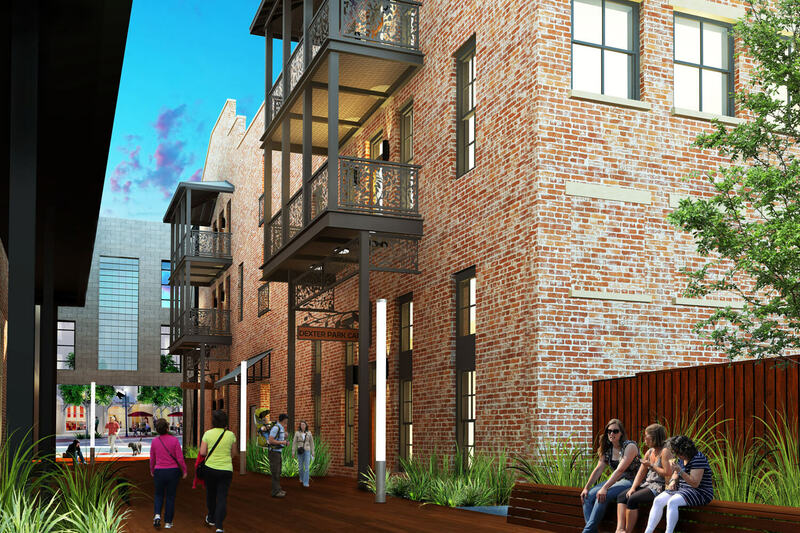 The Architectural scope of services included the design for the redevelopment of the building into a mixed-use structure consisting of a first floor commercial space and three apartments on the upper floors. 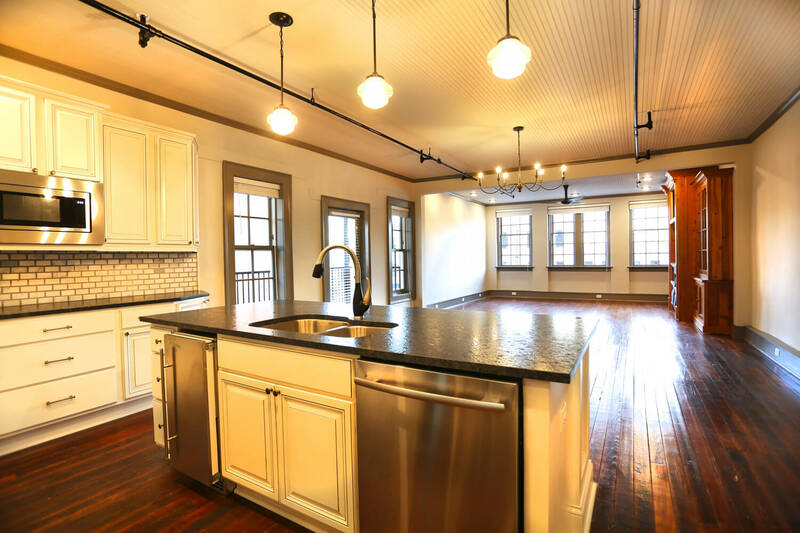 In addition, to help offset the cost of construction, the project pursued historic tax credits through the Alabama Historical Commission and the National Parks Service. 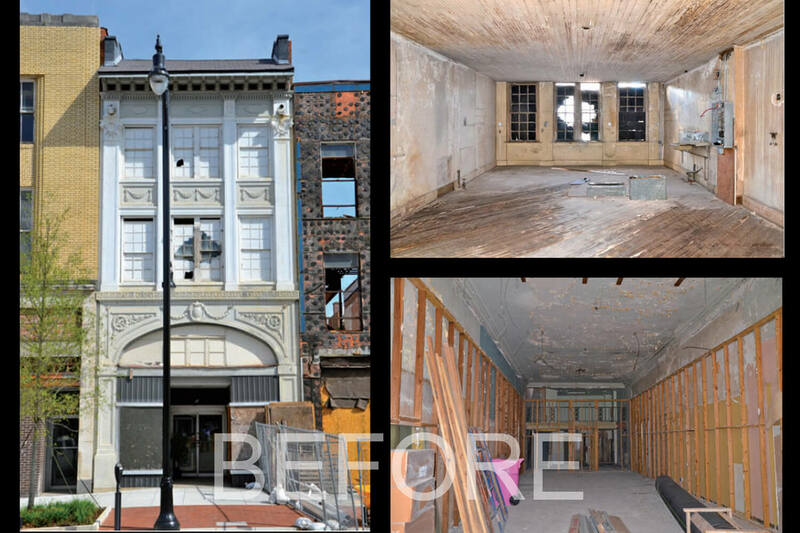 As a result, the design was required to meet their standards for historic preservation and repair. Therefore, submission and approval of the initial design was necessary. 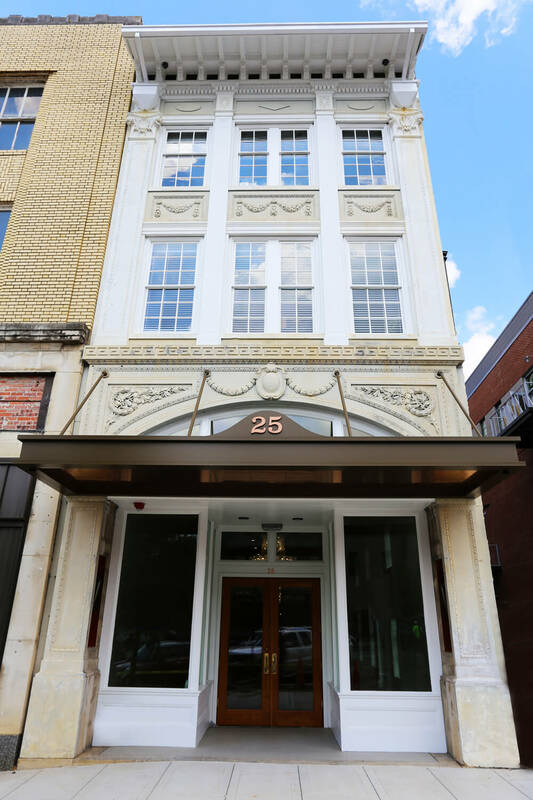 During construction work, the exterior repair work on the existing limestone facade included a new wood framed storefront on the first floor and a new metal awning compatible with photographs from the 1920’s. In addition, new balconies and windows now occur on the side elevation where an adjacent building was torn down by the City to create a public park. 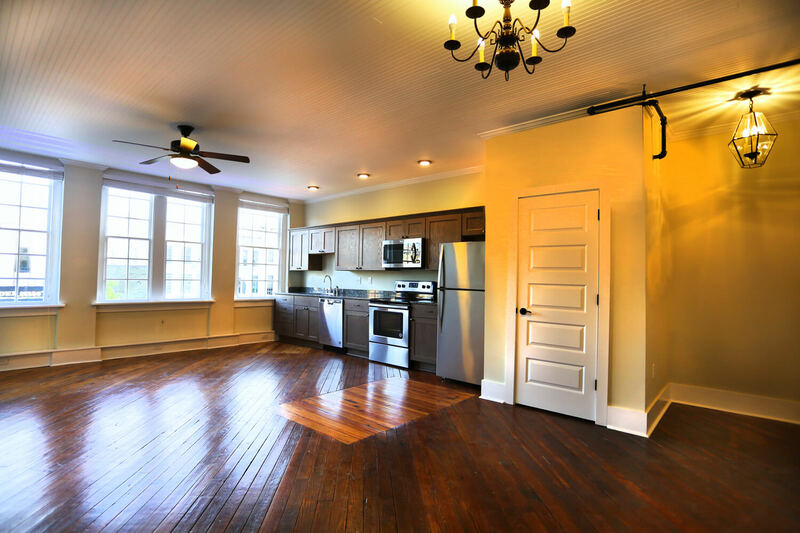 On the interior, the Owner kept and repaired the existing bead board ceiling, plaster walls, and wood floors. Also, a new elevator and stairway now connect all three floors. 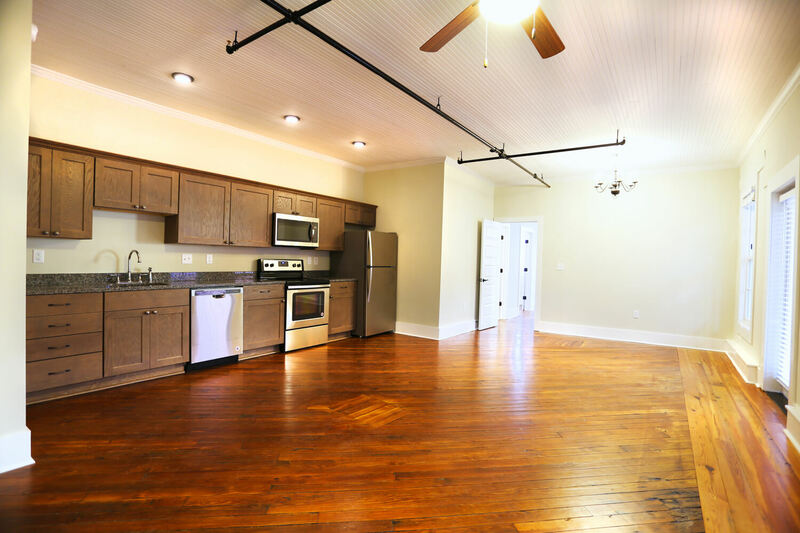 Finally, the finishes of the apartment are in keeping with the character of the building. 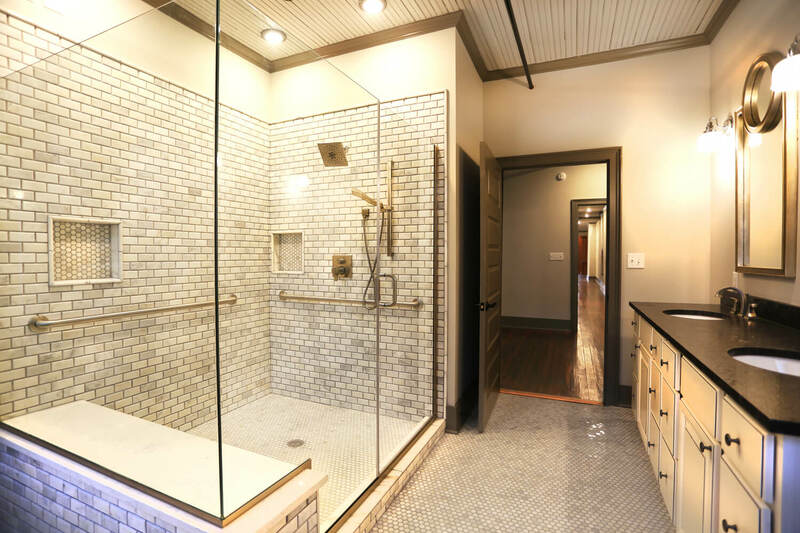 This includes simple, medium wood shaker cabinets, granite countertops, subway tile shower surrounds, and period mosaic floor tile in bathrooms.